Backstroke (or back crawl) is, as its name implies, the only one of the four competitive swimming strokes swum on the back. In terms of speed, it is slower than front crawl or butterfly but faster than breaststroke. 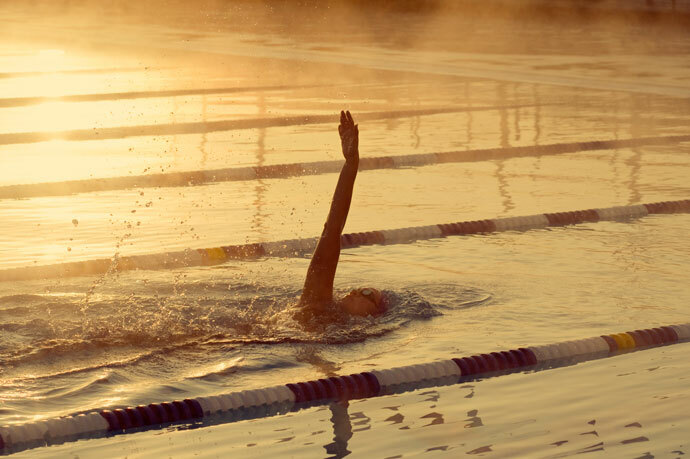 Backstroke is excellent for your back. The arms execute alternating movements: while one arm sweeps underwater from an overhead position backward to the hips, the other arm recovers above water from the hips to the overhead position, and vice versa. The legs do a flutter kick: they move upward and downward in alternation, with some flexion at the hips and knees, and with feet pointed. 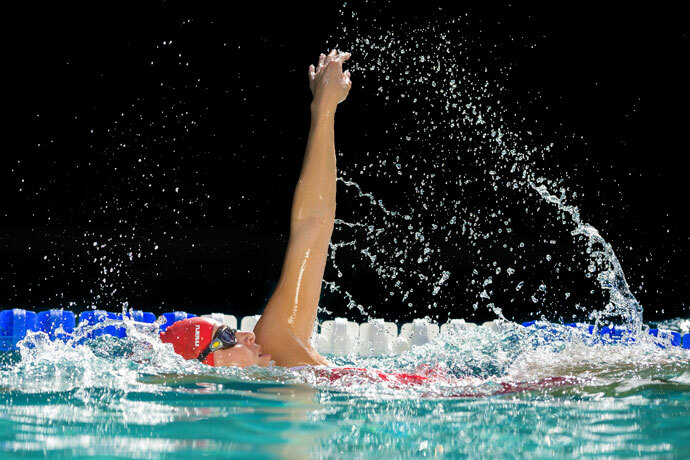 A backstroke swimmer shot from above water and underwater in slow-motion. 1) You float on your back in the water. 2) Your head is in a neutral position, in line with your spine. 3) Your face is above the water surface and you look straight up. 4) Your legs execute a flutter kick. Your toes are pointed and your legs alternately kick upward and then downward. 5) One arm recovers above water from the hip to the overhead position in a semicircular movement. The arms are kept straight during the recovery. 6) Meanwhile, the other arm sweeps underwater from the overhead position backward to the hip, providing propulsion. The hand follows an S-like pattern during this sweep. 7) The recovering arm becomes the sweeping arm once it enters the water in front of the swimmer, and the sweeping arm becomes the recovering arm when it exits the water at the hip. The following articles describe the backstroke technique in detail. Head and Body Positions: This article covers head position, body position and body roll. It also discusses why you may have trouble keeping your legs up. Arm Movements: This article explains the different phases of the arm stroke, how to create efficient propulsion and how to avoid straining your shoulders. 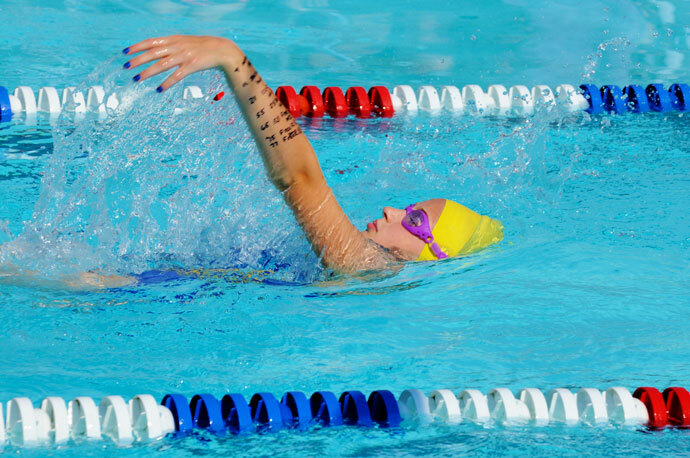 Backstroke Kick: This article explains how to flutter kick in the backstroke. It also covers kicking rhythms and possible causes of poor propulsion. Breathing Technique: This backstroke article discusses the relation between balance and breathing. It also talks about breathing rhythms and how to deal with water splashing in the face. 1) At first, you’ll practice flutter kicking on your back while holding onto the edge of the pool. 2) Next, you’ll practice balance, floating on your back and sides, using the flutter kick for keeping your balance and moving forward. 3) After this, you’ll practice the underwater and above water arm movements, each arm separately. 4) Finally, you practice doing both arm movements simultaneously. 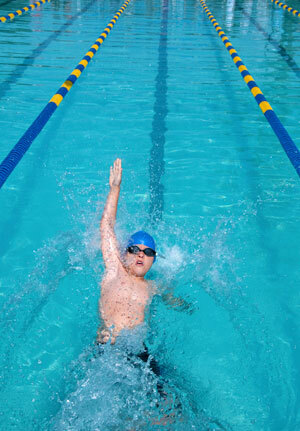 Go to our series of backstroke swimming drills. 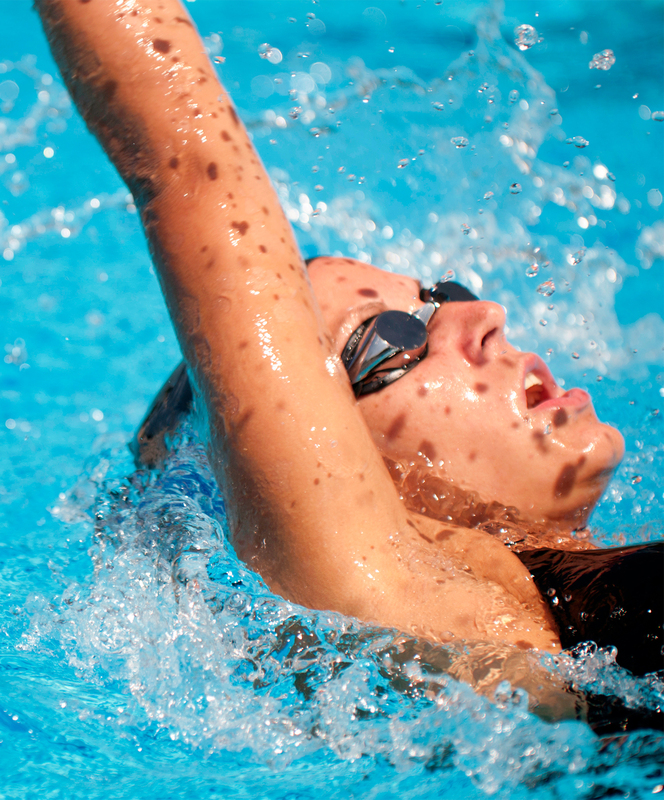 Elementary Backstroke is another form of backstroke that is easy to learn and ideal for beginners. This article describes the swimming technique of elementary backstroke, and how to learn it. Avoiding Bumping Into the Wall: This article describes a few strategies you can use to avoid bumping into the wall while swimming backstroke. 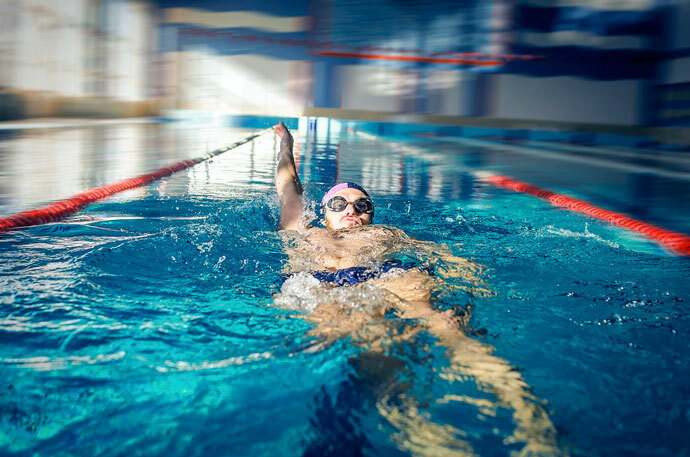 The backstroke swim style helps when you recover from most back surgery, as well. I had part of my lower spine fused and found backstroke the most comfortable way of being in the water. However, I was always good at backstroke. Meantime, it took me 10 years to feel 100% in the water. I shouldn’t take on big waves ever again, though. Doctors orders. I know it is true, as a spine which is not totally elastic anymore is not to be taken lightly. However, swimming is still one of the best sports after surgeries. Mind that physiotherapy in the swimming pool is tops for the same reason. I have been swimming freestyle for years. I had 2 back surgeries. Trying the backstroke is hard because I also had neck surgery.